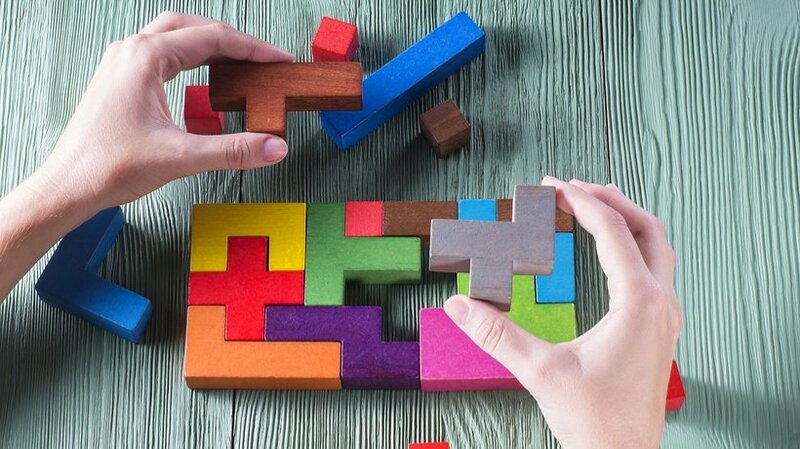 Problem-solving is one of the most challenging skills to develop. It takes experience, trial-and-error, and lateral thinking to arrive at a solution. In this article, I'll share 7 tips to enhance problem-solving skills with eLearning gamification. Gamification involves traditional eLearning elements and engaging game mechanics, such as badges and leaderboards. It gives online learners the opportunity to explore real world challenges in a supportive learning environment. As such, gamifying your eLearning course can help online learners build vital problem-solving skills. This helps them overcome everyday challenges and easily adapt to whatever life has in store. Here are 7 tips to impart problem-solving skills through eLearning gamification. The most common eLearning gamification mistake is focusing on the game mechanics and forgetting about the learning objectives. Badges, levels, and all other elements are there to frame the problem and motivate online learners to solve it. In other words, the points are just a way to propel them to success. You should dissect the problem and break it down into its basic components so that you can customize your eLearning strategy. For example, each level deals with a sub-skill or task that employees must learn before they can overcome the challenge. It's also important to identify which game mechanics are going to motivate and inspire online learners. These mechanics must tie into the core learning objectives, as well. For instance, unlocking hidden elements may be more effective than leaderboards. You shouldn't automatically assume that online learners know how to earn rewards or why you've incorporated them in the first place. As such, you must provide clear instructions for online learners to follow and emphasize the benefits of active participation. Tell them exactly how to earn badges or progress to the next level. In fact, there should be directions on every screen and pop-ups to refresh their memory. Highlight the main takeaways and learning objectives to make it relevant. Online learners must see a direct correlation between the gamified eLearning experience and building their problem-solving skills. So, give them a detailed overview of what they'll be able to do upon completion and how it will benefit their lives. Real world branching scenarios are already engaging and interactive. However, you can make them even more compelling with the addition of points. Give online learners the chance to earn points or credits every time they make the right decision. Or award them points at the end based on their performance. For example, online learners who arrived at the desired outcome with minimal errors receive 10 out of 10 points. Make sure that your eLearning scenario offers a real world challenge or problem that resonates with online learners. Such as an obstacle they face every day in the workplace. Problem-solving simulations immerse online learners in realistic environments. They must navigate the situation using all their online resources in order to solve the problem. After they complete the task, award badges that correspond to the skills or abilities they used. For example, a corporate learner is able to address the client's concerns and troubleshoot a tech issue. As a result, they'd receive a badge for those respective skills, which would be added to their online collection. One of the most effective ways to enhance their motivation is to give them a badge overview beforehand. Include a catalog of the achievable badges, which are grayed out until the online learners earn them during the simulation. Group problem-solving online projects involve social interactions and peer-based feedback. You can further enhance the benefits by incorporating an online group collaboration leaderboard that fuels friendly competition. Divide the group into teams and then assign them a series of problems or challenges. They earn points or credits for each correct solution or the most innovative. The team with the most points advances to the top of the leaderboard and the winner is declared at the end of the eLearning course. You can have different variations of this, as well. For instance, a long-term group project where online learners can move up or down the leaderboard after each phase. This gamification strategy appeals to our innate curiosity. People love a good mystery, especially if they're playing the role of the detective. Do some research to uncover a real world case study or example with a unique twist or surprise ending. Alternatively, write your own mystery with compelling eLearning characters and relatable settings. Transform it into an interactive online presentation with unlockable levels and hidden objects. Online learners must solve each step of the mystery before advancing to the next level or finding the item. Real world mysteries also help online learners build their lateral thinking and creative reasoning skills. They can use these abilities to overcome more complicated obstacles in the future. Develop an emotionally-compelling story that centers on a relatable problem. Include memorable eLearning characters and imagery-rich environments to draw online learners in. Once they are hooked, give them the opportunity to earn rewards by participating in interactive challenges. For example, a branching scenario appears after the first scene. Online learners must put themselves in the shoes of the main eLearning character and acquire resources. These resources can be used to solve the problem at the end of the story. Make your story even more immersive by turning it into an eLearning video or online presentation with clickable hot spots. For instance, YouTube allows you to add annotations to your eLearning videos that lead to eLearning activities, modules, or other online resources. These 7 tips can help you create gamified eLearning experiences that enhance problem-solving skills. It's important to collect feedback from your online learners to ensure that you're on the right track. You can also use LMS metrics to track online learner engagement and participation, which are good indicators of eLearning gamification effectiveness. Are your online learners truly prepared for game mechanics? Read the article 5 Tell-Tale Signs That Your Online Learners Are Ready For Gamification to discover the top tell-tale signs that indicate your online learners are ready for gamification.